Outdoor Adventure Clubs of Greater Cincinnati has served more than 4,500 students, engaging them in a variety of outdoor recreational activities and exposing them to some of the regions's most beautiful parks and natural spaces. Many of the adventures represent the first time the kids have tried the activity or traveled out of their immediate neighborhoods. Indeed, for the majority of participants, these activities and locations are simply unavailable to them due to financial concerns, transportation issues, or time constraints. A gift from the Pfau Foundation will support the Outdoor Adventures for Urban Youth program. The Cincinnati Youth Collaborative (CYC) has served local youth for over 30 years. On an annual basis, their programs reach over 1,900 youth ages 7­19 who are having difficulty performing in school due to a range of risk factors: homelessness, pregnancy, incarcerated parents(s), etc. A gift from the Pfau Foundation will support the Girls Clubs. Cincinnati Therapeutic Riding and Horsemanship provides horses, training and volunteer assistants for people with disabilities in order to develop physical and mental skills, promote socialization and communication, and build independence and self-confidence. A gift from the Pfau Foundation will support the 2016 Riderships so Everyone Can Ride project. Prevent Blindness is the nation's leading voluntary eye health and safety organization dedicated to fighting blindness and saving sight. The Ohio Affiliate of Prevent Blindness (PBO) has been serving all 88 Ohio counties since 1957, providing direct services to more than 800,000 Ohioans annually and educating millions of consumers about what they can do to protect and preserve their precious gift of sight. The Southwest Ohio Chapter of Prevent Blindness is headquartered in Cincinnati and serves Hamilton, Brown, Butler, Warren and Clermont counties. A gift from the Pfau Foundation will support Vision Care Outreach. Throughout its 128 years Holly Hill Children's Services has been a stabilizing force in the lives of children. Although much has changed over the past 12 decades, Holly Hill continues to meet the social challenges of the community and has evolved into an on-site treatment center with a total of seven programs annually servicing over 1430 children and families from two locations. A gift from the Pfau Foundation will support the Connections for Life program. Children's Center of the Cumberlands provides the services of a child advocacy center (coordinated investigation of child abuse and follow-up care to promote healing) and mental health and support services for at-risk youth and their families. As a child advocacy center, CCC offers a single child-friendly environment for these services: (1) therapeutic interventions, parenting classes, and mentoring; (2) medical evaluations and expert testimony; (3) forensic interviews and victim advocacy; (4) alcohol and drug programs; and (5) prevention education. A gift from the Pfau Foundation will support the Help and Hope for the Children of Appalachia program. individuals in the tristate area who are focused on tackling the significant health problem that wide-spread exposure to trauma and toxic stress has brought to the community. A gift from the Pfau Foundation will support general operations. By partnering with members of the faith community, IHNGC is able to feed, clothe, house and uplift 100 of the highest-need families in our community each year. The program mobilizes 1000+ volunteers from over 100 congregations to provide 8 families a night with emergency shelter. A gift from the Pfau Foundation will support the Transportation Program. Camp Koinonia is a weeklong residential camp program for youth with multiple disabilities. The camp program is part of a service learning course at the University of Tennessee where the students receive 12 weeks of course instruction on working with individuals with disabilities and then become the staff of the camp for the final culminating project. A gift from the Pfau Foundation will support the Camp Koinonia Scholarship Program. Fernside: A Center for Grieving Children is located in Blue Ash, Ohio, at the Goldstein Family Hospice of Cincinnati & Fernside Grief Center. A gift from the Pfau Foundation will support general operations. The Children's Law Center was created in 1989 with the assistance of Brighton Center, Inc. in Newport, Kentucky. Throughout the twenty-three year history, the Center has become widely recognized across Kentucky, Ohio, and in some areas nationally for its work on juvenile justice, education and indigent reforms for juveniles. A gift from the Pfau Foundation will support Holistic Legal Representation for Children. 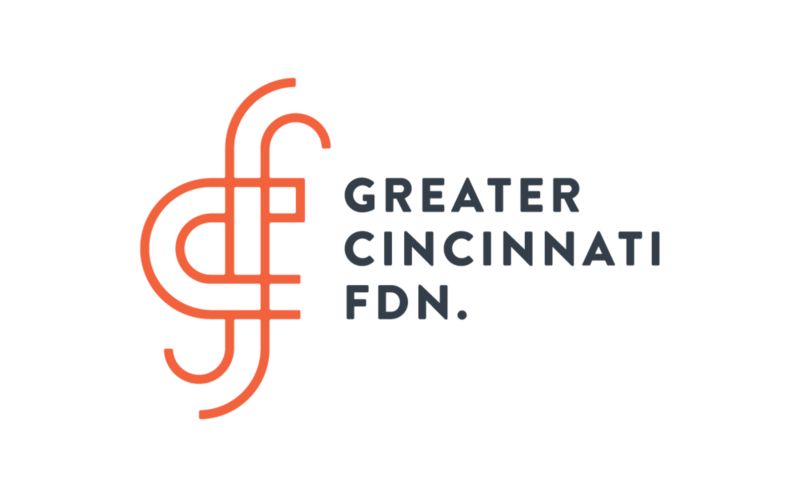 For 84 years the Fine Arts Fund (now known as ArtsWave) has worked to provide vital support for the greater Cincinnati arts community to ensure that music, dance, theatre, galleries and festivals thrive throughout the region. A gift from the Pfau Foundation will support Catalyzing Impact Grants & Impact Services. My Nose Turns Red provides youth, ages four-young adult, in-depth circus arts training and performing opportunities. MNTR has ongoing after-school programming at Fairview German Language School , Hyde Park Elementary, Maple Dale Elementary, and Woodford Paideia Academy. A gift from the Pfau Foundation will support the Circus Youth in Action program. Bethany House Services (BHS) is the largest family homelessness service provider in the Greater Cincinnati region since taking over Mercy-St. John’s homeless services in January 2015. A gift from the Pfau Foundation will support the Brighter Futures for Homeless Children program. Community Matters takes a comprehensive approach to community development in Lower Price Hill. They focus our work around three areas: Family Stabilization, Economic Opportunity, and Neighborhood Revitalization. A gift from the Pfau Foundation will support the Food Access in Lower Price Hill: Community Market and Gardens project. University of Cincinnati (UC) was established in 1819 and became part of the State university system in 1977. UC enrolls approximately 43,000 students on an annual basis and awards degrees at the associate, baccalaureate, masters and doctoral levels. A gift from the Pfau Foundation will support the Higher Education Mentoring Initiative (HEMI). For the past 18 years, Public Allies Cincinnati has provided a critical career pathway for individuals interested in helping others and serving the community. They have had a clear commitment to cultivating leaders from among the pockets of a great city where residents are struggling the most. A gift from the Pfau Foundation will support the Public Allies Apprenticeship Program. MHAC, although based solely out of a Cleveland for the first decade, became a statewide organization in 2012 per a request of a coalition of organizations here in Southwest Ohio. Local non-profit leaders in the mental health and substance abuse sectors recognized the need for a neutral convener and unifying voice at the policy level to maintain and hopefully grow funding and pro-treatment policies in the face of stagnant and reduced funding. A gift from the Pfau Foundation will support improving access to behavioral health care for youth and young adults. May We Help (MWH) engineers devices for individuals with disabilities which enable them to overcome physical challenges and experienced life more fully. A gift from the Pfau Foundation will support general operations. Development of St. Aloysius began in 1832 by Father John Martin Henni and was officially established in 1837 to aid the children left homeless as a result of a cholera epidemic. Today, they are an independent,non-denominational social service agency assisting children displaying cognitive, behavioral, and emotional health problems. A gift from the Pfau Foundation will support the Easing Access to In-School Therapy program. For the past 14 years, Operation Give Back (OGB) has provided students with a safe, clean and consistent space; caring adults, an afternoon snack, internet access, tutors, field trips and holiday events. Participants number 40 during the school year and 25 during the summer. Small mom and pop shops like OGB are assets toward closing the achievement gap between disadvantaged youth and their peers. A gift from the Pfau Foundation will support the Operation Give Back After School Tutoring/Mentoring Program. Lawn Life is a social enterprise that blends youth development with entry-level employment performing lawn care services and basic home maintenance/renovation. The strategy serves to help youth transition from incarceration to stability and independence. The Hamilton County Juvenile Court, Lighthouse Youth Services and concerned community members refer youth to the program. Lawn Life employs an average of 85 youth at one time. A gift from the Pfau Foundation will support the Real Work for Disadvantaged Youth program. Ohio Valley Voices formed in 1999 by parents who knew that an oral education could give their deaf children opportunities that would not be available to them otherwise. In 2000, Ohio Valley Voices opened its doors to 12 students. Currently in their eleventh year, enrollment has more than tripled in size. A gift from the Pfau Foundation will support The Family Center Expansion. Incorporated in 1864, The Children's Home of Cincinnati is one of the area's oldest, private, nonprofit social service agencies focused on transforming the lives of vulnerable children facing social, behavioral, and learning challenges. A gift from the Pfau Foundation will support their Ready Set Work! - Job Readiness and Independence for Students with Autism and Related Disorders project. Comprehensive Community Child Care (4C) was founded in 1972 by a coalition of agencies and funders with the purpose of coordinating, planning and advocating for quality child care for working families. Early work included planning studies, training and technical assistance. 4C has built its services to families along with concentration on improving the quality of early learning and care for all children. A gift from the Pfau Foundation will support Developing Quality e-Learning for the Early Childhood Field program. A gift from the Pfau Foundation will support the Strengthening Families program. Beech Acres Parenting Center serves families and seeks to enhance and strengthen caregiver-child relationships. The Parent Child Interactive Therapy is a model used at the center to improve relationships and cultivate positive behavior among children who have experience behavioral problems, suffered the loss of an adult, or suffered a traumatic event or abuse. A gift from the Pfau Foundation will support the Family Peer Support program. Founded in 1958 as Cincinnati Civic Ballet, Cincinnati Ballet was the first professional ballet company in Cincinnati. Going into its 48th season in 2011-2012, Cincinnati Ballet is committed to offering new works while keeping the historical repertoire vibrant, constantly delivering the highest caliber of professional dance through both cutting edge and classical choreography. Cincinnati Ballet also provides extensive educational and outreach programming to more than 12,000 area youths. A gift from the Pfau Foundation will support the Ballet Moves program. The Economics Center is an organization with 35 years of experience in training teachers, developing classroom materials, and implementing innovative school programs that provide economics and financial learning for students from kindergarten through high school. Since 1977, the Economics Center has trained more than 48,000 teachers from 50 districts through professional development seminars, improving their knowledge of the economy, entrepreneurship, and business practices. A gift from the Pfau Foundation will support the Counseling Program. The Epilepsy Foundation of Greater Cincinnati was founded in 1953 and is the sole health and social service agency in the area to provide unique and innovative services to people with epilepsy. When the agency first started, many people with epilepsy were often restricted from taking part in life experiences because of the negative stigma associated with the disorder. The Epilepsy Foundation responded over the years to provide services and programs that help the individual reach beyond their seizures. A gift from the Pfau Foundation will support the Counseling Program. Living Arrangements for the Developmentally Disabled Inc. (LADD) is a non-profit, tax exempt organization that was founded in 1975 by several parents who had children with developmental disabilities. Since LADD opened its doors, hundreds of individuals have benefited from the comprehensive education programs. Both current and former participants in LADD programs are living in a variety of residential situations throughout the Greater Cincinnati community. A gift from the Pfau Foundation will support the Cincinnati ReelAbilities Film Festival. The Urban League of Greater Cincinnati is a private non-profit organization incorporated in 1949 and is an affiliate of the National Urban League. For over 60 years, the League has had a track record of addressing key challenges facing African Americans and others at risk by providing a full array of programs and services that help individuals and families become self-sufficient. A gift from the Pfau Foundation will support Woodward After School League project. People Working Cooperatively is an organization that performs essential repairs and services so that low-income homeowner's can remain in their homes, living independently in a safe, sound environment. A gift from the Pfau Foundation will support the Home Modifications for Youth program.